Indian Beauty Blog | Fashion | Lifestyle | Makeup | SparkleWithSurabhi : Paraben Free Cosmetics List - Stop Poisoning Yourself!! Look better and live longer, go Paraben free! Stop poisoning yourself with deadly chemicals and preservatives. Read labels and become an empowered consumer. Parabens are a class of chemicals widely used as preservatives by cosmetic and pharmaceutical industries. Parabens are effective preservatives in many types of formulas. These compounds, and their salts, are used primarily for their bactericidal and fungicidal properties. They can be found in shampoos, commercial moisturizers, shaving gels, personal lubricants, topical/parenteral pharmaceuticals, spray tanning solution, makeup,and toothpaste. They are also used as food additives. They are becoming increasingly controversial, however, because they have been found in extremely low concentrations in breast cancer tumors (an average of 20 nanograms/g of tissue). Parabens have also displayed the ability to slightly mimic estrogen (a hormone known to play a role in the development of breast cancer).No effective direct links between parabens and cancer have been established, however. Average levels of 20 nanograms/gram of parabens have been detected in a small sample of 20 breast tumors. These findings, along with the demonstrated ability of some parabens to partially mimic estrogen, a hormone known to play a role in the development of breast cancers, have led some scientists to conclude that the presence of parabens may be associated with the occurrence of breast cancer. The lead researcher of the UK study, molecular biologist Philippa Darbre, reported that the ester-bearing form of the parabens found in the tumors indicate that they came from something applied to the skin, such as an underarm deodorant, cream or body spray, and stated that the results helped to explain why up to 60% of all breast tumors are found in just one-fifth of the breast - the upper-outer quadrant, nearest the underarm. From this research it is not possible to say whether parabens actually caused these tumors, but they may certainly be associated with the overall rise in breast cancer cases. Given that breast cancer is a large killer of women and a very high percentage of young women use underarm deodorants. A 2004 study at Northwestern University found that an earlier age of breast cancer diagnosis related to more frequent use of antiperspirants/deodorants and underarm shaving. "I personally feel there is a very strong correlation between the underarm hygiene habits and breast cancer," said immunologist Dr. Kris McGrath, the author of the study.This research has fueled a popular belief that the parabens in underarm deodorants and other cosmetics can migrate into breast tissue and contribute to the development of tumors. No direct evidence of a causal link between parabens and cancer, however, has been shown. Studies indicate that methylparaben applied on the skin may react with UVB leading to increased skin aging and DNA damage. The European Scientific Committee on Consumer Products (SCCP) stated in 2006 that the available data on parabens do not enable a decisive response to the question of whether propyl, butyl and isobutyl paraben can be safely used in cosmetic products at individual concentrations up to 0.4%, which is the allowed limit in the EU. The mainstream cosmetic industry believes that parabens, like most cosmetic ingredients, are safe based on their long term use and safety record and recent scientific studies. Public interest organizations which raise awareness about cosmetic ingredients believe that further research is necessary to determine the safety of parabens. The concerns about endocrine disruptors have led consumers and companies to search for paraben free alternatives. Grapefruit seed extract that is promoted as a natural preservative was identified as containing artificial preservatives such as methylparaben. I am sure to be on the safer side all of you would like to purchase paraben free cosmetics from now on. Scientists have claimed that parabens in cosmetics can be a cause of breast tumour and can also increase aging! How to Find Paraben-Free Products? Parabens are chemicals often used in body care products and cosmetics for their preservative and antimicrobial benefits and are deemed safe by the Food and Drug Administration (FDA). Check the label of your current moisturizer. Look for any ingredients like propylparaben, ethylparaben and butylparaben, which are commonly used parabens. Check the Internet or check with the FDA for other paraben names. Understand that companies say they use some form of parabens to prevent bacterial and fungal contamination. Many don't consider it harmful and have no qualms about adding it to their ingredients label. However, there is also evidence that parabens may disrupt the body's hormone systems by duplicating the effects of estrogen. These "preservatives" are in our salad dressing, mustard, mayonnaise, jam, soft drinks, candy and more. In case of cosmetics check the labels for these terms: Methylparaben, Ethylparaben, Propylparaben, Butylparaben, Benzyl-parahydroxybenzoic acid, Methyl-parahydroxybenzoic acid, Ethyl-parahydroxybenzoic acid, Propyl-parahydroxybenzoic acid, Butyl-parahydroxybenzoic acid, Parahydroxybenzoic acid and Parahydroxybenzoate. They are all forms of parabens. If possible, get rid of everything in your house with those ingredients. Start buying paraben-free products. The Internet is a vast resource for the consumer who wants safe, chemical-free products and food items. paraben Don't be misled by the front label. Among the ingredients, printed in small letters at the bottom of the back label is where you will find the parabens family. Go online and search for paraben-free. Usually, if a product is paraben-free the manufacturer will say so, but check the ingredients list and product description just in case. Be educated. Household cleaning products aren't required to disclose ingredients unless they contain antimicrobial pesticides, like disinfectants. Makers of cosmetics are required to list their ingredients unless it is fragrance and that is exempt as a "trade secret." Stop by your local Whole Foods or health food store to find paraben-free moisturizer. Most will have a body care section with a decent selection. Or, check with your local drugstore or department store and ask about paraben-free options. Try different paraben-free moisturizers until you find the right one for your skin. Look for paraben-free body lotions with lots of shea butter and paraben-free facial moisturizers with sunscreen built right in. Become part of the solution. There is food out there that is 100 percent organic actives and free of parabens, petrochemicals, dyes, preservatives and other additives. Parabens have been replaced with grapefruit seed extract and Vitamin E in many cosmetics and essential oils like cinnamon, eucalyptus, lavender, lemon and tea tree are being distilled and turned into natural preservatives. Inglot Cosmetics - Paraben free, DBP free. Coastalclassiccreations - Paraben free cosmetics. Afterglow Cosmetics - 100% Vegan, Paraben free,talc free, fragrance free. Stript Cosmetics - 100% Vegan, Paraben free,talc free, fragrance free. Lass Naturals - 100% Vegan,Phthalates free, Paraben free, Perfume free,colourants free, Authentic Ayurveda. Khadi Natural -100% Vegetarian, Paraben free shampoo only. Ecobeauty by Oriflame - Paraben free. Biotique Botanicals - 100% Vegan, Preservative free,Paraben free & Chemical free. 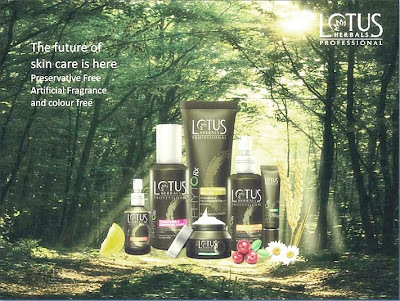 Lotus Herbals PHYTO-Rx™Range Only - 100% Vegan, Preservative free,Paraben free,Chemical free, Artifical fragnance or colour free. Forest Essentials - 100% Vegan, Paraben free. Tatthastu - Paraben Free, Sulphate free. Organique by Himalaya - 100% Vegan, Paraben free, Sulphate free. Ecobeauty range from Oriflame cosmetics: - Free from Paraben's, chemical free,silicone, mineral oils and synthetic fragnances. Kiss My Face - 100% Vegan, Paraben free, Chemicals free. Seba Med - Paraben free, Harsh chemicals free. Dr.Organic - 100% Vegan, Paraben free, Harsh chemicals free. Jane irdale Mineral Makeup - Paraben free. Suparna Trikha Herbs Pvt Ltd - 100% Vegan, Authentic Ayurveda, Preservative free. Dead Sea Cosmetics (Isreal) - 100% Vegan, Paraben free. Vapour Organic Beauty - 100% Vegan, paraben free, they have received a leaping bunny logo from PETA. Organic Surge - 100% Vegan, Paraben free & Chemicals free. Aubrey Organics - 100% Vegan,Paraben free,they have received the leaping bunny logo from PETA. Obsessively Organic- 100% Vegan, Paraben free, Chemicals free. H2O Plus - Paraben free. Alba Botanica - Paraben free. Tarte Cosmetics - Paraben free. Korres (Greece) - Natual Products, Paraben free. Bare essentuals - Paraben free. Pur Minerals - Paraben Free. or http://en.wikipedia.org/wiki/Campaign_for_Safe_Cosmetics to know more. Made In India - A Gift to the World!! I am not asking you to throw your cosmetics with parabens away! but yes, they are harsh chemicals and continuous usage can harm sensitive skin. Look out for the ingredient's before you buy any product in future! They are all forms of parabens! I have a question. I am currently using the Neutrogena Oil-Free Moisture with SPF 15 for oily skin. I noticed that the pack mentions these preservatives: Methyl hydroxybenzoate, Ethyl hydroxybenzoate, Isopropyl hydroxybenzoate, Butyl hydroxybenzoate and Phenoxyethanol. Are these parabens as well? If so, I need to discontinue using this product. In that case, could you please suggest any oil-free moisturizer for my acne-prone skin? Paraben is a generic term for p-hydroxybenzoate esters. Due to their low toxicity in the human body, as well as antiseptic and mold proofing effects, parabens are used as preservatives in medicines, cosmetics, and foods.These 4 are parabens: methyl p-hydroxybenzoate, ethyl p-hydroxybenzoate, propyl p-hydroxybenzoate, and butyl p-hydroxybenzoate. Phenoxyethanol is another component used as a germicide and antiseptic in cosmetics. It is a naturallyoccurring compound that is found in substances such as green tea. Phenoxyethanol is often used in combination with parabens in cosmetics to reduce the added paraben content. A good paraben free moisturiser is SebaMed Clearface Clear Gel. All Sebamed products are Paraben Free. You can also try Ayurveda from Biotique, Lotus Herbals, Patanjali Aloe Vera Gel, Suparna Trikha, Vedic Line, The Nature's Co and Sunscreens from the same brands. I have another query. I am currently using this product: http://www.khadinatural.com/khadi-herbal-shikakai-shampoo_pid_66.html I would be grateful if you tell me if the Khadi herbal Shikakai shampoo is paraben-free and sulphate-free? It has improved my hair texture a lot and also controlled hair fall but I am not sure about the sls, sulphates , parabens etc since these are not mentioned on the bottle. Are all Khadi shampoos paraben-free? Inglot has Paraben free foundation and Make up Products. Thank you for a very extensinve explanation of parabens, I learned a lot from your blog. Thankyou for reading my blog and Thankyou for the information!! Hi there! Thank you for this informative post, you did a great job, and I admire you for spreading the word on the harmful effects of parabens in our everyday cosmetics and lotions! Surabhi, I love that you put this list together. I am always helping friends find paraben free products, makeup and other, so I love that you have shared your list with everyone. One thing though, Laura Geller is definitely NOT paraben free. Recently tried to buy some of her products and all had parabens. Checked ingredients on their website as well, and most products have parabens. They may have a few products without, but certainly not all. Also, missing from your list is Pur Minerals, which has been actively removing parabens and I believe, is now completely (or close to) paraben free. They have some great products like their 4-in-1 foundation powder. Thankyou for the information I have removed Lorac cosmetics from the list of parabens free cosmetics. I will add Pur Minerals to my list and remove laura geller as well. Please do keep updating me if you have more information. Thankyou for reading my blog! Himalaya herbals are older and rich with ayurvedic medicine from ancient period and it is too rich and famous for epic era. Himalaya herbals provide various types of cosmetic, medicinal, food products. Hi, You could add the Ecobeauty range from Oriflame cosmetics, They are paraben free, silicone free and mineral oil free. Sure, I will add Ecobeauty to the paraben free list. What about Bioelements? I love their skincare, and it's paraben free. It's amazing stuff! What about Origins makeup? Can that be added to you list? Here is their statement. Will definately add your recommended products/brands to this list. I hv used jovees alovera n since it darkened my skin i hv strtd usin lotus alpha moist bt i fl some itchin arnd my jawbone..i hv sensitive n combination skin.cn u pls suggest ne paraben free products?is it due to paraben allergy dt it causes itching?? Try using clear skin clear gel from seba med it is very good for sensitive and combination skin along with its facewash.or use pure aloe vera gel for face the one that is colourless like the ones available with fabindia. Please visit a dermatologist and check for skin allergies. Thanks for sharing this informative blog about Chemical Free Moisturizers. it s very nice and useful. hello to you all, my name is Wendy Brimm , i am from Vegas here in united state, i wish to tell you all, how i find a doctor that cure me from SKIN CANCER, which i had for three years with his natural herbal medicine he gave to me , it all went this way, i was internet that very day when i saw a comment of a woman called MARIA KATRINA from united kingdom sharing her testimony about how this very doctor cured her of HIV, and he also cured AIDS too, but i never really believed but i just decided to give it a try and i contacted DOCTOR HAKIM, so he told me everything i needed to know and what to do to get cured and free from my cancer issue, so i went straight and make provisions for the herbs which he used to prepare medicine for me,i applied the medicine and just to see that the exact day which doctor harkim said i we be cured i was felling good and healthy at once, my strength was regained i went for check up in the hospital and my family doctor told me i am free from cancer my skin can back to normal, this was the greatest miracle that has happened to me in my life, and i promise doctor hakim that i we share his good work to the world, these are few i can say about this DOCTOR HAKIM, i went with my family to thank him for his great work and solution in my life, wish i never expected this was possible, I we like you to contact him ADDRESS:dr.hakimherbalspellworld@gmail.com if you have any health issue i believe this doctor can help you out as well. This is a great article and I did not know that Paraben products had this affect. It makes sense though since they use a lot of products have some of the same solutions included in them. It is really amazing how much improvement we have made in the development of useful chemicals. There are a lot of products out here using safer chemicals. For example, the chemical such as Biomedical Polymer has done some really great things. Thankyou, for visiting blog post and for sharing your valuable information. Good work mam.Highly useful.Madam can u say where we get this sebamed products. Hello Anonymous, good know that you like the blog post, You can buy sebamed products at any drug store!! Try Inglot Cosmetics they are paraben free and affordable!! May I point out - Shahnaz Hussain is NOT PARABEN FREE. Check their ingredients. let me find out about it and get back to you!! Are Himalaya products paraben free? Am confused.. because it says Methyl paraben as Inactive.. What does that mean? Himalaya products are not paraben free!! Hey i checked lotus products.. it sunscreen with spf 50 or 60 has methylparaben in it.. how can you call them parabenfree/. 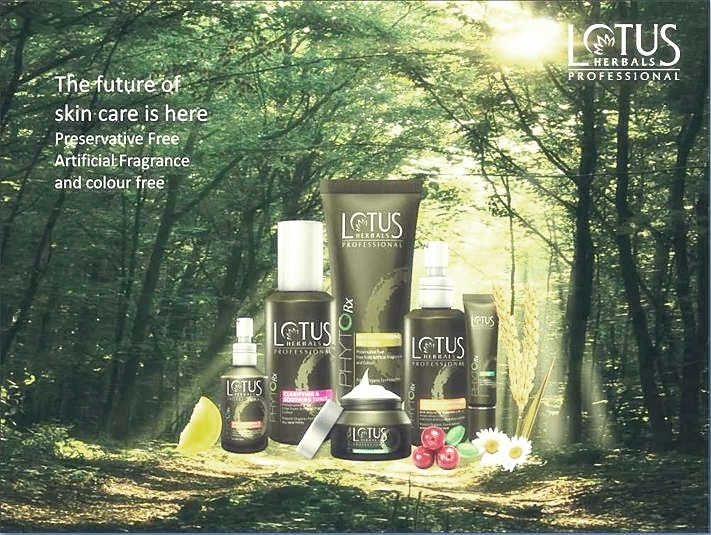 Lotus Herbals PHYTO-Rx™Range Only IS PARABEN FREE - 100% Vegan, Preservative free,Paraben free,Chemical free, Artifical fragnance or colour free. Which is the best body moisturiser for both men and women? Thanks surabhi..Sebamed foaming gel is just amazing..it has helped me to control acne.Now the only concern is marks. I would like to know for daily wear or occasionally which foundation or powder foundation can i buy which is non comodegenic. You can try INGLOT 's or NYX powder or liquid foundation and you can also wash your face with MELAWASH which is with 6% glycolic acid it will help you to get rid of your marks gradually....It did wonders for me!! Try to use you a orange based concealer to hide your marks which available at NYX, Mac, MakeUP Forever. Hi,from your post only i came to know about paraben.thank you so much.is really biotique botanicals paraben free?. Hi, please also answer my question I want to know that, do lotus herbal makeup products like lipstick,eyeliner,eye shadow,etc. contains paraben and phthalates. I am madly in love with "lotus herbals pure color" new shade lipsticks my most favorite shade is 'pink blush' I wear that shade for a whole day it keeps my lips soft and moisturized for whole day, no lip balm is required.I even have peach creme, sensuous mauve,rose wood all of them are good as well these shades are definitely made for indian skin tone. I did use one of their lipsticks lotus herbal cosmetics is a good range!! They are definitely made for Indian Skin tone's. As for their Paraben content I will get back to you on that. Please give some time. Thanks surbhi for sharing about melawash. I have sensitive and bit pigmentation on skin will this do?and how do I add in my routine as I already using sebamed gel. Inglot availability is problem so I have to hunt for buying online this one. I heard lot about boujoris cc cream for daily use.what u say? Melawash is meant to be used in case you have Stubborn Acne marks, Pigmentation or discoloration due to aging. Sebamed gel is for maintaining a balanced ph level in your skin so that you don't break out!! so, you can use both of them alternatively. Bourjois is a good range but I think it is not paraben free. I used their BB Cream, its nice but its more like a cakey foundation. I bought Melawash on your recommendation and have started using since 2 days. Feels better. Had also checked your review about The body shop bb cream, what is u r call on that. Melawash is great keep using it! !....Sadly of you have oily acne prone skin...then BB Cream is just not meant for you...however the Body Shop BB Cream is one the best available to India!! Thanks surabhi for your prompt response. Yes i shall continue melawash as i am really satisfied in 4 applications. with NYX hd concealer medium? Sure, Barkha!! Inglot YSM cream foundation Or NYX stay matte but not flat powder foundation will be great choice both are cruelty free products!! Thank you for a well-written and informative artcile. I've got one question which regards Himalaya cosmetics: does Organique by Himalaya belong to the Himalaya cosmetics line? I see that you had repliedc on one of the comments that Himalaya products aren't free for parabens - so I wanted to clarify this on order to be sure. Thanks in advance! This information is very useful! I will definitely look for paraben-free products only. Enjoy Pampering yourself with paraben free products..
Just chanced across this post! Informative! Thanks a ton for listing the products. Have you also used Omved products? They are also completely natural and paraben free. I am a blogger too who promotes all things organic on my blog and a search led me to your blog. Since we share the same interests, I thought I should let you know. How about flower beauty cosmetics, are they safe? I use makeup 5 days a week. Needing something safe but affordable preferably drugstore, thanks! I think all make up products are harmful if you wear them for long hours.. try to cleanse your face always when you go to sleep. I would like to know your location so that I can suggest some drug store brands for you! Firstly, your blog is really Cool! Thank you for taking out time to write all this. I must add that Tarte is good mainstream brand using Paraben free and natural products. So are many products from Urban Decay. Some other great natural brands are RMS cosmetics, jane iredale , 100% Pure, Josie Maran, Juice Beauty, Youngblood Cosmetics and many more. Bite Beauty apparently has invented a nearly edible lipstick. All these brands can be purchased online. I am trying to chalk out Paraben loaded beauty products slowly one by one and turning towards Green Makeup! I am sorry for replying late. I was out of the country for a month. Thank-you for visiting my blog and for all your compliments. I will add the the brands that you mentioned above and look out for brands as well. It's great to know that my blog was of help to you!! Are those products cruelty free as well? Have you ever tried Sheer Cover? I used it throughout my travel it's magical!! plus They're cruelty free, paraben free and totally vegan! Is Melawash available to purchase in Canada or online? I do not know that if Melawash is available in Canada but you can always try to find out a face wash in any brand there with at least 6% glycolic acid it works like charm!! I find out more about H20 and delete it from the list if required.. Thankyou!! Sorry to inform you, but Physicians Formula contains parabens, as it appears on products boxes. I will update this thank-you!! I liked your product. Go ahead and keep posting with similar product. wat about vlcc products surabhi? Vlcc products are cruelty free but I am not sure whether they are paraben free!! I am looking for day and night non comodogenic and parameters free.currently I am using aroma magic hydro gel, sebamed cleansing foam and sunscreen. I am into third trimester and no facials since long.Hence skin looking dull.I have normal skin with light pigmentation. Sebamed clearface cleargel for day and night is the safest!! I am looking into face skin care line right now. Interesting! Thanks for sharing. Burt’s Bees repeatedly mentions on their website that they are paraben free. are biotique products really paraben free? Lipani Skincare is a luxury brand of paraben free skincare and cosmetics beauty products. Can you add Juice Beauty to the list? Its truely informative.Can you guide me to choose safe lipstick and compact powder for daily use. Hey surabhi, i see Methyl Paraben in the ingredients of Lotus Herbals Cocomoist Cocoa-Butter Moisturising Lotion !! So, even Lotus Herbals products are safe to use?? Please give me some time, I will get back to you!! Thank-you for the information, however it is not available in India. Hi surabhi,I used to use lotus sunscreen.planning to change it now.which one among fab India sunscreen, jovees sunscreen and vlcc sunscreen is parable free. Hello Anonymous, I have heard the fabindia and vlcc are paraben free and cruelty free but please check the back of the bottle for confirmation. Thank-you for visiting my website and loving my post of paraben free cosmetics, I will definitely keep on adding more information on paraben free cosmetics!! Hi this is great blog with loads of information sharing... I came across 2 Indian brands, soultree and plum goodness both are paraben and lead free.. They can be found in shampoos, commercial moisturizers, shaving gels, personal lubricants, topical/parenteral pharmaceuticals, spray tanning solution, makeup,and toothpaste. They are also used as food additives. Hey surbhi .. thankyou for sharing such a valuable information with us. I wan to buy pure olive and coconut oil to use for my skin and hair . can you please suggest which brand i should choose to buy pure and organic oils ?? Whoa!! that's what I was searching for, what a stuff! I treat my body to hydrate with Sakare's body lotions. My friends are also trying this. Good to know, I will definitely add more info about Sakare's body lotions.. Please let me research on this a bit and get back to you!! Every brand that claims to be herbal is not exactly "herbal" please do check back of the boxes and labels about harmful chemicals and preservative in them. 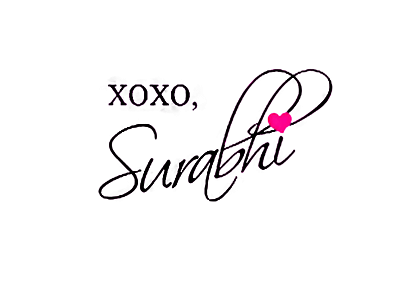 Yes, I layed out the entire website myself, I coded it with Html and all the graphics were created by me as I am trained Graphic Designer as well, Thank-you for Appreciating my blog!! I will definitely write about avana mineral makeup as well!! Applying to the hair and scalp massage with this product, and oil balance should be established, and should also stimulate blood circulation. Is lacto calamine skin balance daily nourishing lotion paraben free and safe? Lacto Calamine has preservatives in it, try Seba Med clear face clear gel instead!! Hi Surabhi - Do you have more information on Himalaya Herbals? A few people mentioned it in the comments, but I can't find a lot of information on the products. I fell in love with them while I was in India, but while searching to see if the formula is the same in the States (we tend to put a lot more chemicals in everything) even their website just repeats "herbal," but does not strictly say paraben free, or list ingredients so that I can check Skin Deep. Thank you! Can you please suggest a good paraben sulfate chemical free shampoo? Thanks! Please try Biotique or Lotus RX shampoos!! hey guys contact me if you are looking for makeup Artist in Bristol, UK. I am sure a lot of my readers would love to contact you!! are products by Suparna trikha paraben free ? 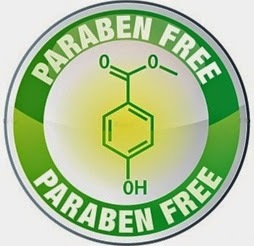 Thank for Paraben Free Cosmetics List - Stop Poisoning Yourself!! topic, it was helpful to me.